What do Christie Brinkley, Michelle Pfeiffer, and Vanessa Williams have in common? They are all in their 50s and 60s and prime examples of the benefits of taking excellent care of your skin. So, how can their contemporaries counteract signs of aging to look and feel their best? Here are five of the best cosmetic treatments in your 50s and 60s. As women enter their 50s and 60s, many experience age-related volume loss in cheeks, temples, under eyes, and lips. 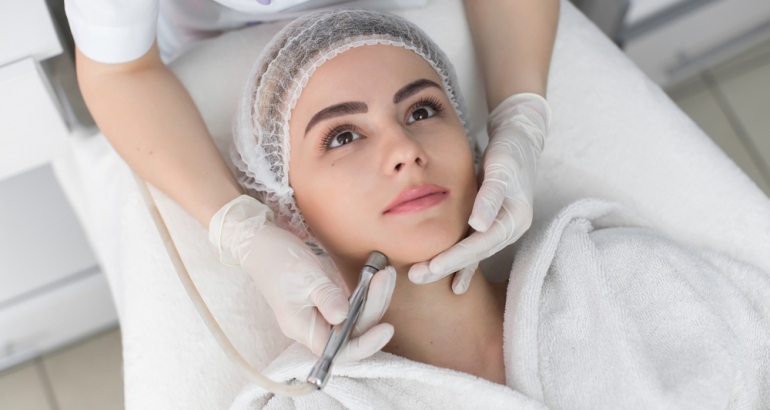 A hyaluronic acid filler like Juvederm Voluma can restore fullness to a deflated midface and lift jowls for a more refreshed and youthful appearance. Sculptra (comprised of poly-L-lactic acid) and Radiesse (made of calcium hydroxyapatite) are filler products that are injected deep into the dermis. They add immediate structure to skin, stimulate production of new collagen, and are well-suited for moderate to severe wrinkles and folds, including nasolabial folds, smile lines, and marionette lines. A neuromodulator, such as Botox, Dysport, or Xeomin, deactivates targeted facial muscles in order to diminish forehead lines, frown lines, and crow’s feet. The procedure is performed in the comfort of your doctor’s office and results can last three-to-six months. Fraxel and CO2 laser resurfacing are two of the best cosmetic treatments in your 50s and 60s. By creating microscopic injuries in the skin, these procedures trigger a wound healing effect and remodeling of the skin from the inside out. As a result, they can significantly improve sun spots, photodamage, wrinkles, and overall tone and texture. Ultherapy is a non-surgical option for facial rejuvenation, and one of Christie Brinkley’s anti-aging secrets. It delivers ultrasound energy to superficial and deep layers of tissue in order to contract muscles and strengthen skin’s underlying support. Christie credits this technology with tightening and lifting her face and neck, and she’s proof that Ultherapy is one of the most effective cosmetic treatments in your 50s and 60s. To learn more about cosmetic treatments in your 50s and 60s and which option best meets your needs and goals, call our office today to schedule a comprehensive consultation with Dr. Lian Mack.